Follow us and explore Iran with IRAN tour packages which they contain the history of Ancient Persia and attractions of the new Iran. Enjoy watching magnificent mosques, small mountain villages, and colorful gardens, and gain deeper insight from this ancient land. Travel to Iran (Tehran, Isfahan, Yazd, Shiraz ). Iran tour package is here. Some of the most valuable examples of Middle Eastern design and architecture are found in Iran, including the magnificent Persepolis, the dazzling Islamic centers at Isfahan and Shiraz, and beautifully-crafted gardens set in desert. Iran tour package is here. Start in Tehran and its over at Shiraz! With the leader,transfer. IRAN Classic Tour 16 days, you will have a 16 days tour package taking you from Tehran to Shiraz and 8 other destinations in Iran. Iran tour package is here. IRAN Classic Tour 16 days includes accommodation in a hotel also an expert guide, meals, transfer and more. Iran tour package is here. Book our Iran tour packages & charm in depth of Iran history. Check in, Our guide is waiting to greet and transfer you to the hotel. Iran tour package is here. Sa’adabad Complex (white house& green palace), Tajrish Bazaar, Darband (Lunch) Heading to Qom,Hoz Soltan Lake, Hotel check in, (dinner). Iran tour package is here. Masoomeh holy shrine, Imam Khomeini`s House, Ghajarie House (Lunch), driving to Kashan, Fin garden (UNESCO WORLD HERITAGE SITE) which was first planted during the Safavid period and kept alive with water from the nearby Sulaimanieh Spring. This beautiful garden was expanded by the Zand and Qajar monarchs, with many open pavilions added, Tabatabae traditional House,Boroujerdi traditional House, Kashan Bazaar, Hotel check in (dinner/Manouchehri traditional house). Iran tour package is here. 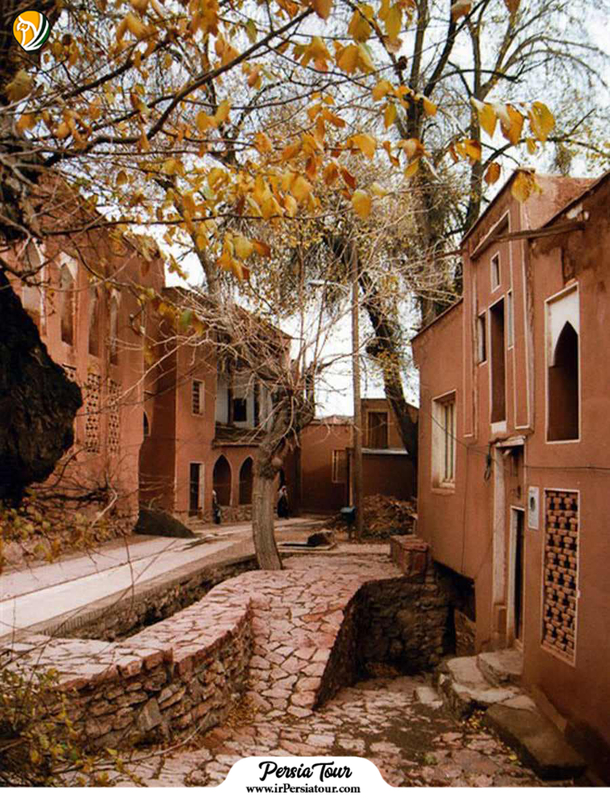 Heading to Abyane, Abyaneh Village with its architectural style entirely in red clay, a small village hidden away in the Karkas Mountains and an Iranian Cultural Heritage Site. The village was originally settled by Zoroastrians fleeing the Arab invasion of Persia and is very traditional with winding alleys of red-mud brick houses adorned with lattice woodwork and balconies. The people of Abyaneh have preserved their ancient culture and traditions over the centuries and dress in colourful clothes (Viona hotel/lunch), driving to iran`s greatest city, Isfahan. Hotel check in (dinner). Iran tour package is here. Zayandeh river bridges (33 bridge& khajoo), Menar jonban ,Vank Church ,Atishgah (dinner/Shabneshin). Iran tour package is here. Driving to Varzaneh dessert and village, (Lunch/Chapaker Eco lodge) Ghoortan castle, Loft, hiking (dinner/Chapaker) observing stars. Iran tour package is here. Driving to Meybod (Chaparkhane: ancient post office- Narrin Castle) oldest mudbrick structure in Iran ( lunch) , driving to Kharanagh, The impressive town of Kharanak is believed to be 1,000 years old and you can explore the abandoned structures of this hillside settlement, peering into the houses of wealthy merchants and hammans (bathhouses). You will also explore the valley and nearby mountains and get great pictures of the aqueducts that formed part of the underground water system. The system is still used to irrigate the fields here – great shocks of green that sit against the brown desert. Driving to Yazd ,The desert city of Yazd is known as the centre of the Zoroastrian religion . hotel check in (dinner/fastfood). Iran tour package is here. Fahadan (historical city context) set out on a walking tour visiting the Jameh Mosque, notable for its fine mosaics and beautiful exterior. From here you are ideally placed to explore the older parts of the city, which are some of the oldest on Earth according to UNESCO. Walk the narrow kuches (lanes), past simple courtyards and the ornate doors of the mud brick buildings. One of the most distinctive features of Yazd are the wind towers (‘badgirs’) that capture even the softest of breezes and send them to the buildings below in a forerunner of modern air-con, (lunch/Saryazd Carvansaray) ,Water museum shows how the quants (underground water channels) brought water to the city from the mountains for thousands of years,Amirchakhmagh square and buying souvenir, free time (dinner). Iran tour package is here. Fahraj (Mosque, Alexander custody, historical house,12 imam monument) (lunch) Zoroastrian fire place ,Dowlatabad garden UNESCO World Cultural Heritage) one of the historical Persian garden with wind tower (dinner). Iran tour package is here. Driving to Abarkooh cypress (lunch), Heading to Marvdasht, hotel check in (Takhtjamshid or Apadana hotel) (dinner). Iran tour package is here. Marvdasht (Perspolis) in the heart of the fabled Persian Empire. Once one of the greatest architectural wonders of the ancient world , Naqsh-e Rustam Necropolis of the Achaemenes, it was founded by Darius the Great, who made it his capital in 518 BC (Lunch ) driving to Shiraz, Qoran gate, hotel check in (dinner) Shiraz night. Iran tour package is here. Haffeziye (Tomb of Hafez a great Persian poet), Sa’adi tomb, Nasir mosque from Qajar era which includes extensive colored glass in its façade; it is also named the Pink Mosque, due to the usage of considerable pink color tiles for its interior design, Narenjestan (a traditional and historical house in Shiraz, dated back to Qajar era), Sa’adi tomb ( Lunch) Eram garden, Haffeziye (Tomb of Hafez a great Persian poet), Shah cheragh shrine the Holy Shrine of Ali Ebne Hamzeh (you will visit this shrine from inside) (dinner). Iran tour package is here. A great way of experiencing a new culture and to appreciate nature. In the process, you make new friends in your guides and fellow travelers. You finish your journey with a sense of accomplishment that has forever imprinted in your memories. Your message makes us happy. We’re glad to provide you a great feeling. Thanks so much for your informative posts about Iran. You have made my planning so much easier. Keep up the great work helping fellow travelers! Glad we could help you plan your trip to Iran and possible book IRAN Classic Tour 16 Days in Iran. Can i have a private classic tour ? how much is it? but the price will increase by 30%. Thank you for such an informative post , just wondering! At this stage we are looking at going in December. Glad we could help. you can book your tours Down this page. or in our page in tourradar. What do we need to know for traveling to Iran? We help you for travel to Iran, you can see our tour packages and talk with our advisors for best choice. For any other questions, don`t hesitate to ask me. What is the hosting status of a trip to Iran? Iranians are renowned for their hospitality and as a visitor you will be invited to many people’s houses for dinner or lunch. Iran is one of those countries that likes to please its guests. You can read our blog and you will see hosting status and Beautiful places in Iran.